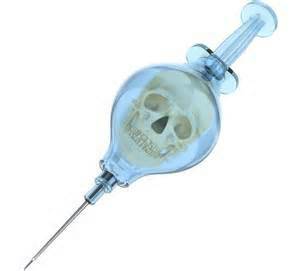 DTaP vaccines can cause long term injuries and even death. Contact us to learn more! Why Is the DTap / DTAP Vaccine So Dangerous? All vaccines can harm, kill and maim. The DTP vaccine is especially dangerous because the doses are given repeatedly and at such a young age while the immune system is not fully developed. The DTaP - diphtheria, tetanus and "acellular" pertussis vaccine replaced the DPT (diphtheria, tetanus, and "whole-cell" pertussis) vaccine a few years ago because some authorities believed it to be safer. This is not the case. Adverse reactions to DTaP / DTAP vaccines have included death, intussusception (death of intestines), seizures, severe headaches, chest pain, inconsolable crying, brain injury, high fever, swelling/redness, vomiting, hives, severe diarrhea, permanent brain damage, and more. There are thousands of reported adverse reactions in the VAERS database, and this is with only 1% even being reported. Below are the symptoms and expanded materia medica use in homeopathic prescribing after DTP / DTaP vaccinations. These symptoms in the DTP Materia Medica are observed in cases of DTP vaccine damage both historically and in modern times. loud noises such as fireworks, the furnace, blow dryer, etc. bangs head - before sleep, on floor, into mother’s chest. etc.